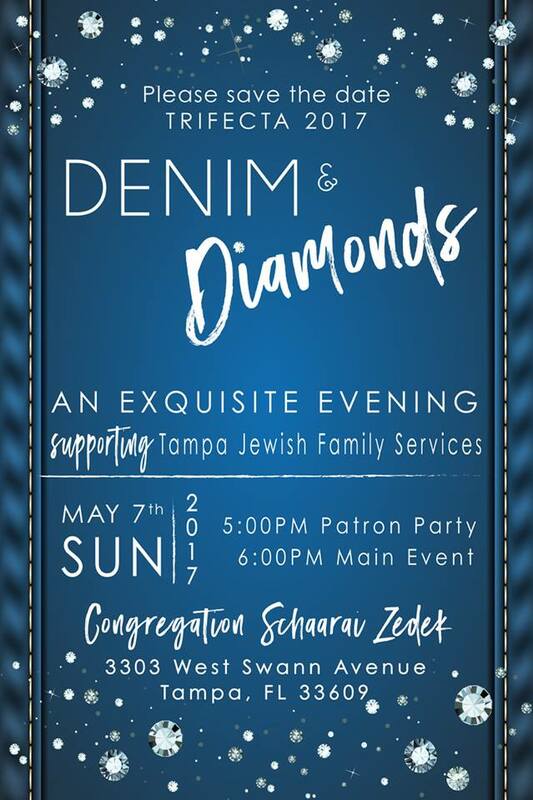 Save the Date for Denim & Diamonds. An exquisite evening supporting Tampa Jewish Family Services! May 7, 2017.